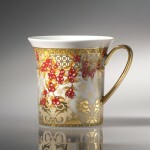 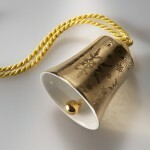 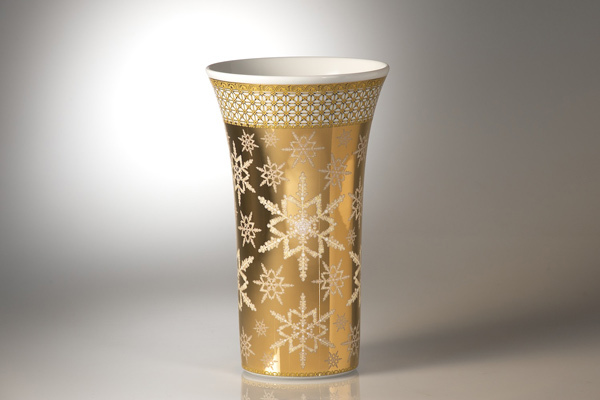 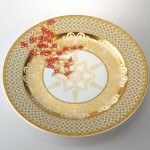 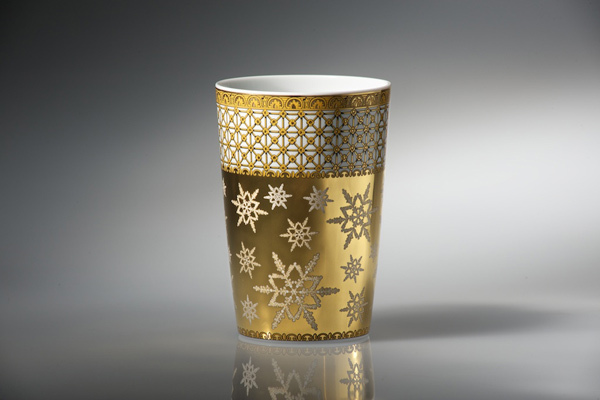 Versace has created luxurious tableware Christmas 2010 collection. 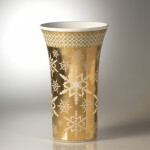 The collection also includes accessories and Christmas decorations. 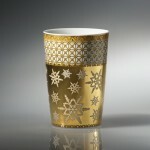 Versace Tableware Christmas 2010 Collection comprises coffee cups, saucers, mugs, etagere, Christmas plates, dishes and vases. 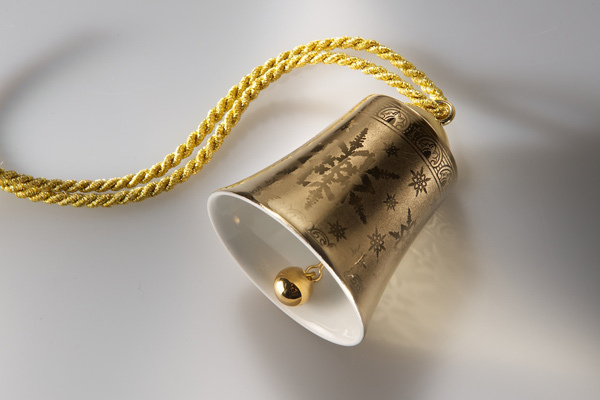 There are also decorations such as golden bell and porcelain balls. 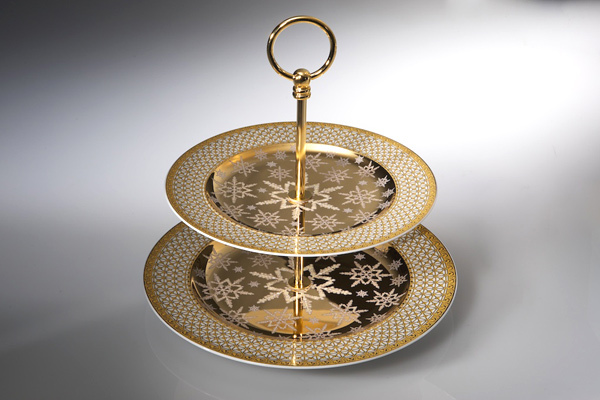 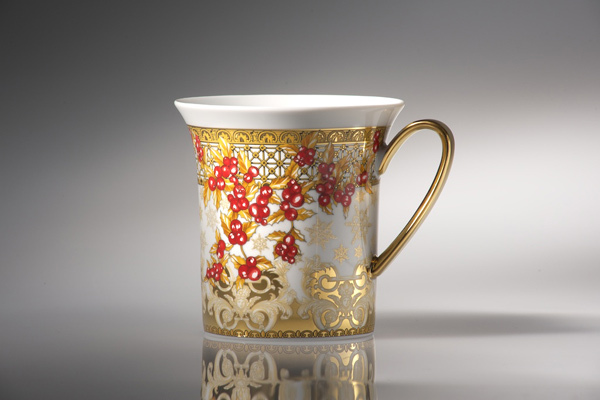 Decorated with snowflakes and berries Versace Tableware bears a true holiday spirit. 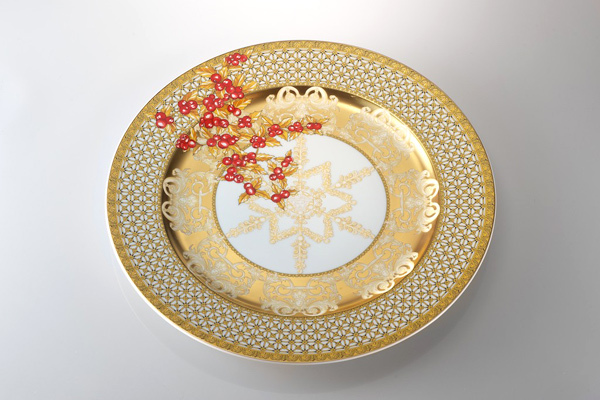 The golden glitter adds luxuriousness to the table and dining room.